We've been having some fun mixing up our collections this month. I decided to create a simple card and mix some collections with some scraps to create a card. Do you do this too? Reach for bits and pieces of things on your desk or after you've created a page? I just think this quote by Katherine Hepburn is fantastic! 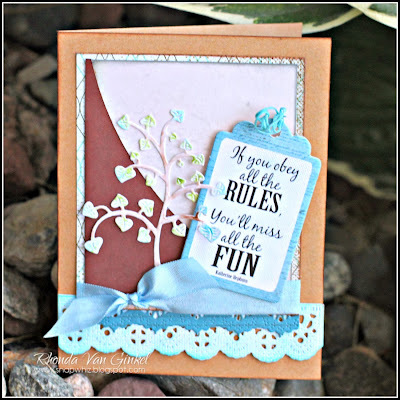 To create my card I used the Stowaway collection, Dusty Road and a scrap piece from Club Q. 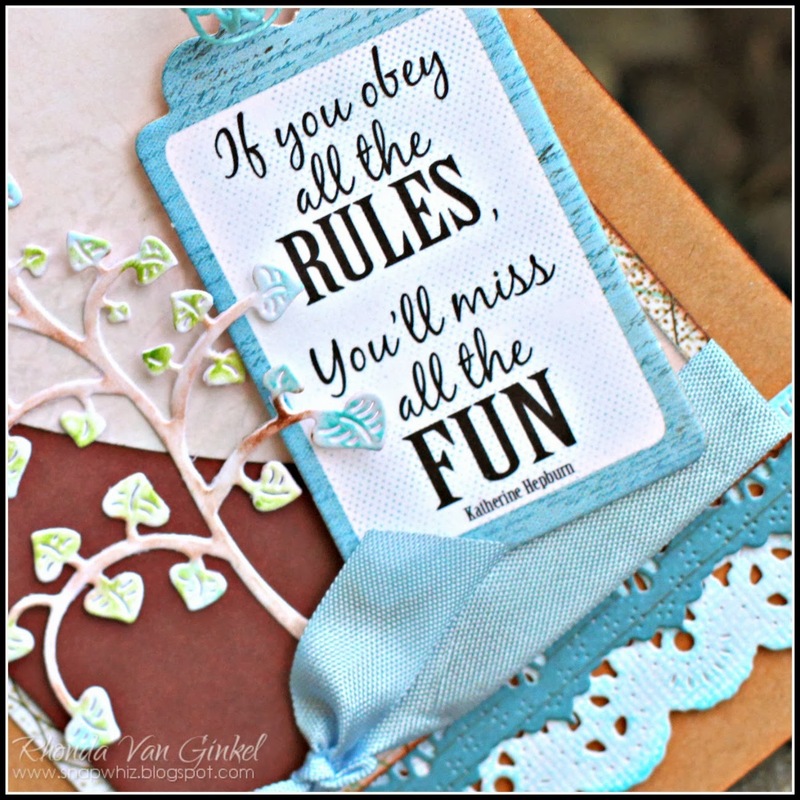 My pretty tree is die cut from White Cardstock and I inked it with PowderPuff Chalk Ink in Baja Blue, Mocha Mama and Green Tea. Thanks for stopping on over to the blog today! Have a fantastic weekend! Cute card, and the quote goes well with "mixing it up"! So pretty, you did a great job mixing it up!